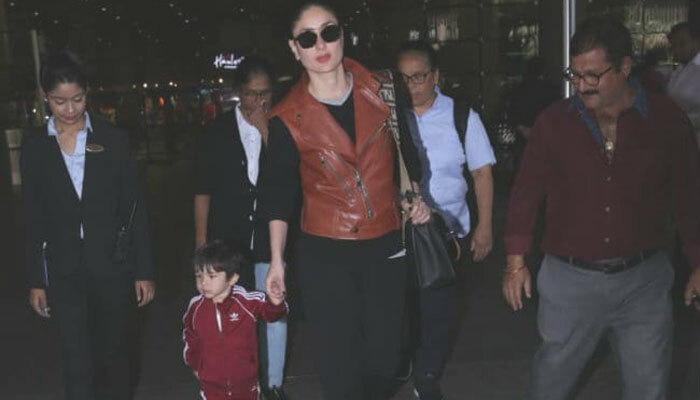 MUMBAI: Bollywood actress Kareena Kapoor and her son Taimur Ali Khan, after spending a long holiday with family in Switzerland, returned home on Saturday. Kareena Kapoor and son Taimur Ali Khan touched down in Mumbai on Saturday afternoon. They celebrated New Year's in Switzerland and then holidaying in Paris, the mother-son duo finally checked into Mumbai. Kareena and Said Ali Khan also celebrated grand birthday party of their beloved charismatic son Taimur Ali Khan, who turned who turned 2 on December 20 last year. She had said she would push her son Taimur Ali Khan to complete his studies first. Kareen said, “I will always push Taimur to complete his studies first and then do what he wants to in his career,” India media reported.